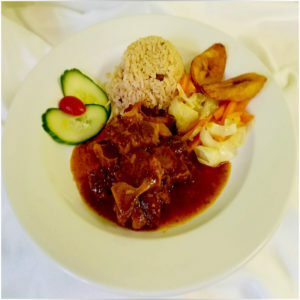 Soft tender mouth watering oxtail slowly cooked in a sweet and savory bold sauce until it falls off the bone. Served with rice, steamed vegetables and plantains. Soft juicy Oxtail, falls straight of the bone with a hint of flavor full herbs and spices served in a mouth watering home made sauce.